A new edump add-on for FireFox(Quantum) has been released. A new edump add-on for FireFox(Quantum) has been released. FireFox(Quantom) has a new architecture for executing it’s plugins, hence you should reinstall the new edump add-on to your FireFox. You can download and install from this website below. 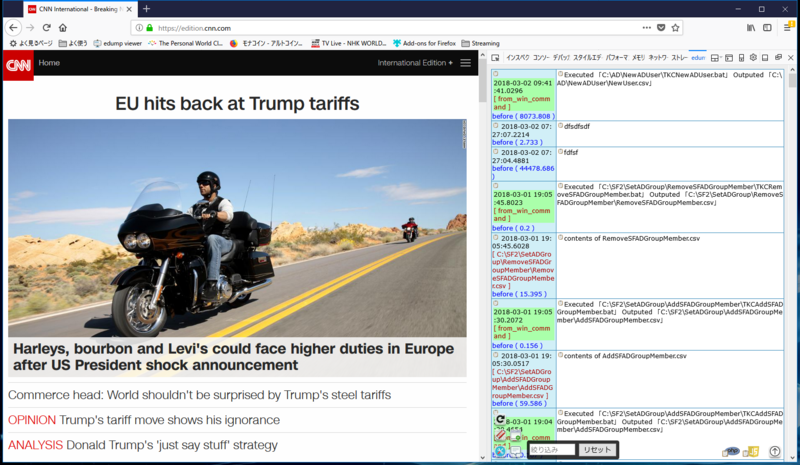 The edump console will be available on the developer window of FireFox. New web site has been released! edump’s new web site has been released! It can be viewed in 2 languages which are English and Japanese. Probably you can understand easily when you see our new web site. We are hoping that you’ll register on edump’s web site soon! edump’s web site has been updated with a feature which detects the user’s nationality automatically. edump’s web site has multi languages in English and Japanese now so users can choose a specific one. However usually the user’s internet browser has a setting for the main language. If you don’t choose the language, edump’s web site detects it from the setting of the internet browser automatically. However, if you need to change the language, You can do it by yourself. SSL connection for the web site. We just prepared the SSL connection for users. 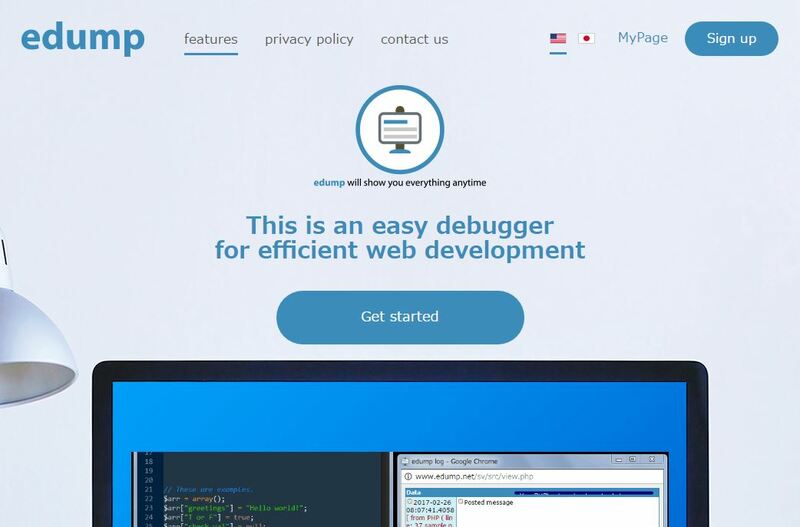 You can connect our web site through SSL using https. It will protect your browsing data via encryption, but we are still preparing the SSL connection with the socket communication. Please wait for it. We are making a new design for the web site. We are making a new design for our web site now. Probably you can see it in the near future. 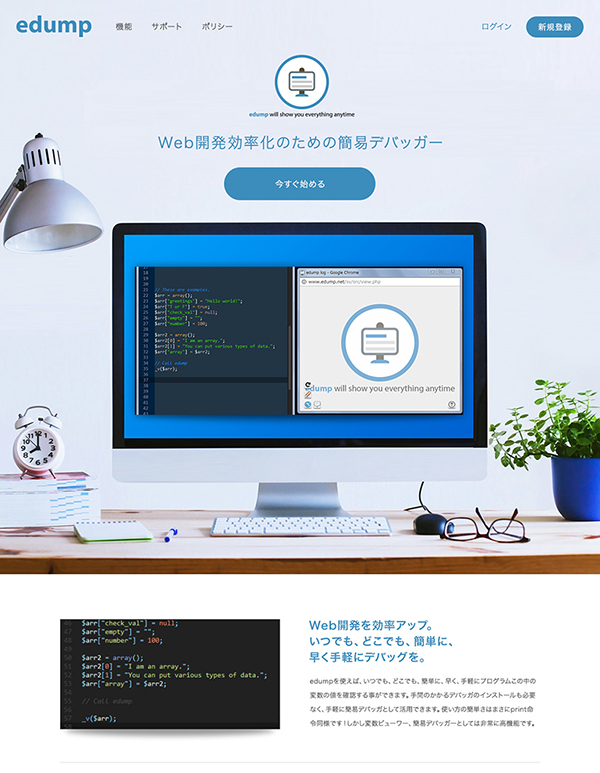 There will be English and Japanese versions provided so the new web site will be easily understandable for users. We are looking forward to showing this design completely for you! The edump users will get new tools in the near future. We added some brief information about the team on the web page.